Two weeks ago a rumour, that is yet to be substantiated, surfaced that Sony could possibly be working on a Spider-Man project for the PS4. Now, as Spider-Man is my favourite super hero of all time, this news got me very excited, but even before this was even hinted at, it’s something that I postulated would be a good idea for Sony two years ago after the Gamescom conference in 2014. For those who don’t share the same love of Spider-Man, or comic book themed games for that matter, this might come across as a pointless, and even perhaps backwards thinking, on the part of Sony. Outside of Nintendo, Sony has some of the strongest first-party franchises like Uncharted, Gran Turismo, inFamous, God of War and Ratchet and Clank to name a few, as well as the works of Fumito Ueda which include Ico, Shadow of the Colossus and the upcoming The Last Guardian. During this console generation, in which Sony has a huge lead ahead of competitors Microsoft and Nintendo, they’ve also fostered excellent relationships with indie developers to bring their works to the PlayStation 4, and even helped resurrect classics like Grim Fandango and Day of the Tentacle. Given that pedigree of first party intellectual properties as well as healthy third-party and indie developers, why exactly would Sony spend their time working on a property that isn’t their own? Conversely, do people really want them to? Not every gamer is a fan of licensed games like me, and some who still like the character of Spider-Man have not gotten over the way the company up until last year treated him. After two highly successful and critically claimed outings in both Spider-Man and Spider-Man 2 from Sam Raimi, studio intervention forced the final part of that trilogy to be an embarrassing mess of a film that’s legacy will be Tobey Maguire with an emo haircut dancing up the street and Venom being played by Eric Foreman from That 70’s Show. Furthermore, in order to retain the rights to the character’s film rights to prevent them from returning to the newly formed Marvel Studios who were in the midst of crafting their shared cinematic universe, Sony rebooted the Spider-Man film franchise that was only a decade old with the respectable but rather pointless The Amazing Spider-Man. This was followed by the comparable to Batman and Robin, The Amazing Spider-Man 2, which was meant to start a shared universe centered around Spider-Man that ended before it even began. Despite this less than positive treatment of the character of Spider-Man, Sony has shown in recent years its ability to learn from its mistakes. The arrogant, over $600 price point and hard to develop for Sony of 2006 is now the gamer and developer focused Sony who weren’t afraid to drop the mic in front of Microsoft during E3 a few years back when they announced their not so popular plans for the Xbox One console. Last year they even learned to play nice with Marvel Studios, which led to an agreement between Disney and Marvel that has finally allowed Spider-Man to appear alongside characters like Iron Man and Captain America this weekend in Captain America: Civil War that will segue into a solo Marvel Cinematic Universe film next summer. Before I delve into why I think Sony is primed to get into the Spider-Man video game business, I would first like to take a brief look back at the ways that Sony has done right by the Spider-Man character. For that, we have to travel back in time to over a decade and a half ago, when yours truly was still in high school and PlayStation’s didn’t need numbers next to them. 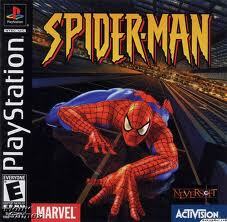 Activision’s first Spider-Man video game, developed by the now sadly defucnt developer Neversoft, didn’t have any development assistance from Sony, nor was it a PlayStation exclusive: It would eventually make its way to the N64, Sega’s Dreamcast, the PC and even in an altered form on the Game Boy Color. For the lead SKU though, there was only one way to start, and that was with the PlayStation, which Activision had found great success on with another beloved Neversoft franchise, Tony Hawk’s Pro Skater. 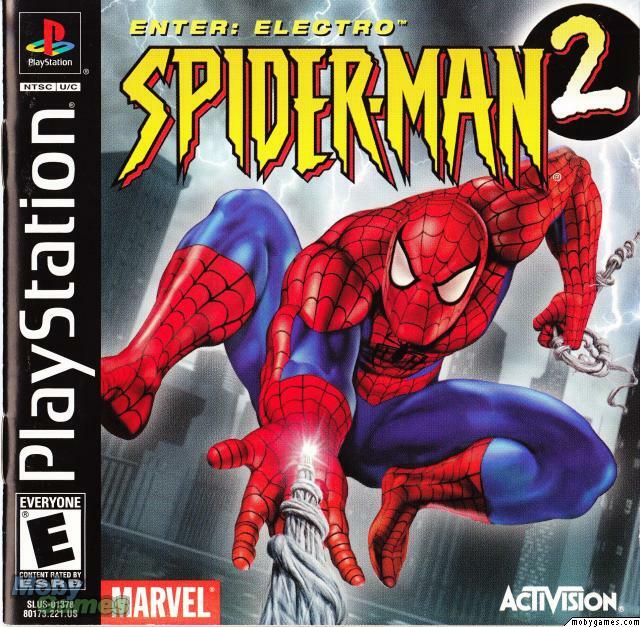 At a time when Nintendo was gearing up to launch the GameCube, Microsoft was set to enter the console space with the Xbox and Sony was entering year two with their PlayStation 2, the first PlayStation still had enough of a user base to become the exclusive home to the only sequel to Neversoft’s Spider-Man, Spider-Man 2: Enter Electro. Ever since Spider-Man debuted in the pages of Amazing Fantasy #15, people dreamed what it would like to see a Spider-Man film. As someone who was born in 1984 and grew up on reruns of the 1960’s animated series, I wondered why it wasn’t something that was actively being perused, especially after the success of Tim Burton’s first two Batman movies. Though it took over half my life and many hours I’m sure of legal hearings, Sony secured the rights to the Spider-Man film rights and released the first ever live-action Spider-Man movie in 2002. But not only did they release a Spider-Man movie, they released one directed by cult favourite director, Sam Raimi. The movie, along with hits like X-Men from Fox and Blade from New Line, helped turn around the thought to be dead comic book film genre that had suffered greatly in the late 90’s thanks to bombs like Steel, Spawn, and Batman and Robin. As much pressure as it was to make the first ever live-action Spider-Man feature, there was even more pressure put on Sam Raimi to follow it up with a sequel. A challenge he accepted and overcame with the 2004 release of Spider-Man 2, which to this date is seen by many to be the best film starring Spider-Man, as well as one of the best sequels ever released. Before the slim redesign, what we affectionately know as the “fat” PlayStation 3 had a distinct font across the system, it’s packaging as well as the side of the PlayStation 3 games. That font? 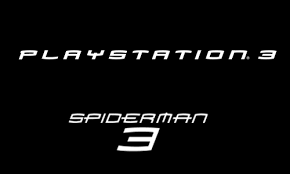 The same one that used for the title of all the films in the Spider-man movie franchise. After 2007’s disastrous Spider-Man 3, it was difficult to think that Sony could ever do right by the Spider-Man brand ever again. However less than a year after the release of the final chapter in the first Spider-Man trilogy, Sony launched an animated series that sadly only lasted two season that took inspiration from its films, and the comics both old and new. Hailing from show runner Greg Weisman (Gargoyles, Young Justice, Star Wars: Rebels) The Spectacular Spider-Man was a brilliant mix of stunning animation, funny dialogue, super villains, and all the personal drama that has made the character of Spider-Man endure for half a century. The show also marked the first time fan-favourite voice actor Josh Keaton voiced the title character after previously getting redubbed by Tobey Maguire in the Spider-Man movie games. Man, I love that theme. 2014 was a hard year for Sony. Despite a lot of popularity and love for the PlayStation division, it was a tough year for the film division. Despite earning $709 million at the box-office, The Amazing Spider-Man 2 was a critical disaster that torpedoed spin-off films centered around The Sinister Six and Venom. Terrorist threats aimed at North American theatres also prevented Sony from releasing their holiday comedy The Interview. Around the same time damming information about people high up in the film division hierarchy via a series of e-mail hacks and leaks also led to a lot restructuring in Sony’s film division. From tragedy came providence though, as these unfortunate events caused Sony to engage in conversations with Disney and Marvel Studios that would allow the two to share the film rights for Spider-Man that would start a new film franchise set to start in 2017 after the character makes his MCU appearance in Captain America: Civil War. Though their spin-off projects were scrapped, Sony also put into production an animated Spider-Man feature from the minds of Phil Lord and Chris Miller, who previously worked with Sony on the Jump Street franchise and also created The Lego Movie. So with that all being said, why do I think Sony is positioning itself to make Spider-Man games despite having a strong first-party portfolio, well to simply put it, the company has a lot invested in Spider-Man despite sharing the characters film rights. They didn’t throw in the towel after The Amazing Spider-Man 2, but rather were smart enough to know that Spider-Man is still an iconic character that despite having a stroke of bad luck since Spider-Man 2, is still salvageable, and who better to do so than Marvel Studios/Disney? Having not been privileged enough to see Captain America: Civil War early, the buzz is that this version of the character is the best to be put on film and people are already excited about next year’s Spider-Man: Homecoming. Not bad for a guy who hasn’t had a critically acclaimed film since 2004, is it? Also without being privileged to the information of the I’m assuming very complicated deal that allowed Robert Downey Jr. to co-star in Homecoming next year, it seems that Disney has a very strong and positive relationship with the game’s division of Sony. How do I know this? 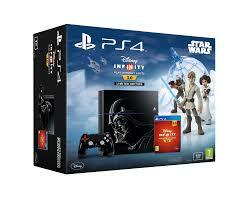 Just look at the exclusive Disney owned content that PlayStation consoles have received as of late. 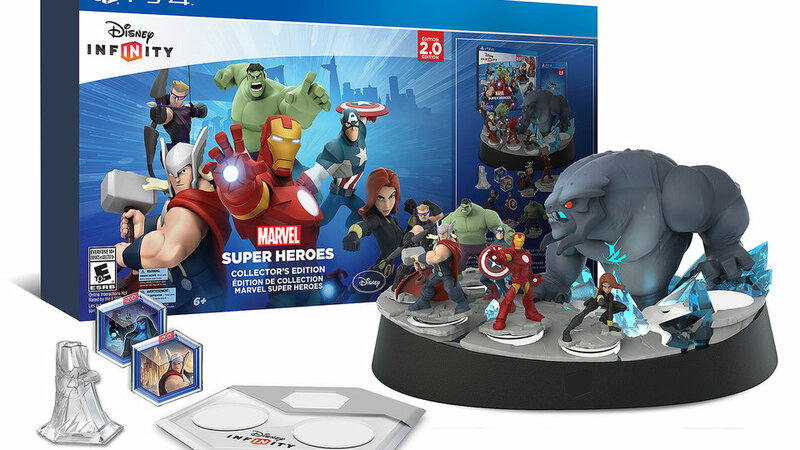 In 2014, Disney Infinity 2.0 launched which brought Marvel’s heroes to the toys to life genre for the first time. Though he would become available to everyone shortly after launch, the Hulk figure was available first to PlayStation owners as part of a collectors edition that unlike the Hulk, remained PlayStation exclusive. 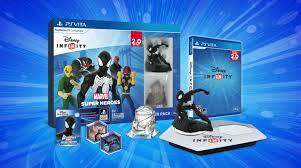 When the game launched on the PS Vita many months later, it came with yet another at the time Sony only figure: the alien costume black suit Spider-Man that is now available as a stand-alone purchase, but until March of this year was only available to those who bought the PS Vita port of the game. Though a bit smaller in scale, the console port of the hit mobile game Marvel Puzzle Quest was a timed exclusive to the PS4 for the current generation of coneols, though it was still made available day one on the Xbox 360 but not the Xbox One. Another Disney brand that got a big push last year, Star Wars, also showed a lot of affection to the PlayStation brand in 2015. Continuing the trend set by the 2.0 edition of Disney Infinity, the third iteration of the franchise allowed players to experience the Rise Against The Empire play set based on the classic Star Wars trilogy before anyone else, as well as the Boba Fett figure, who was exclusive to that bundle until March of this year. 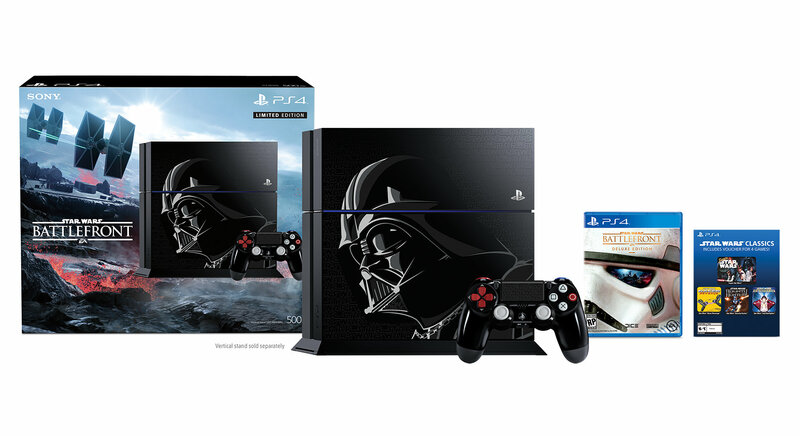 Both Disney Infinity 3.0 and Star Wars: Battlefront also received classy Darth Vader PS4 bundles, with the Battlefront bundle coming with not only that game, but four other classic Star Wars games as well. As of this writing, another Marvel game that released this year, Lego Marvel’s The Avengers, also has content exclusive to PlayStation loyalists. Right now you can only play the stage based on last year’s Ant-Man as well as play as characters as they appear in Captain America: Civil War if, that’s right, you bought the game on either PlayStation 3 or 4. Right now the only thing we know about a possible Spider-Man PlayStation project, whether it’s a console game or maybe even a VR experience, is the leaks published by NerdLeaks that I haven’t even seen reported on any major sites. Whether this is because there isn’t really a project in the works, or there saving something for a reveal closer to E3, is yet to be seen, but there’s a lot of evidence that would suggest that Spider-Man as a franchise is just as important to Sony as Uncharted is. Whereas Sony’s video game franchises have found success in the gaming space, none have had the cross over potential to other branches of the Sony business that Spider-Man has. Just look at the Rotten Tomatoes score for the film based on Ratchet and Clank compared to the Metacritic for the game of the same name: 18% to 86. Arguably the last great game that carried the Spider-Man name, though I would argue otherwise, is Spider-Man 2, which also happens to be the last truly excellent film to star the character. With a fresh start and a clean state thanks to Marvel Studios in the film business, if Sony isn’t making something Spider-Man related for their gaming devices, they would be foolish not to at this point.